The Aqua Mist Freshener leaves behind a trail of fresh hydrated fragrance that is specifically formulated to build a calm & rejuvenating atmosphere, indoors. The tinge of aqua, inspired by the free flowing tides of the ocean is long lasting and is sure to keep your house fresh and neat while also elevating your spirits high up. It’s known to rejuvenate you post a tedious week and unlock your spirits for the upcoming hassle. 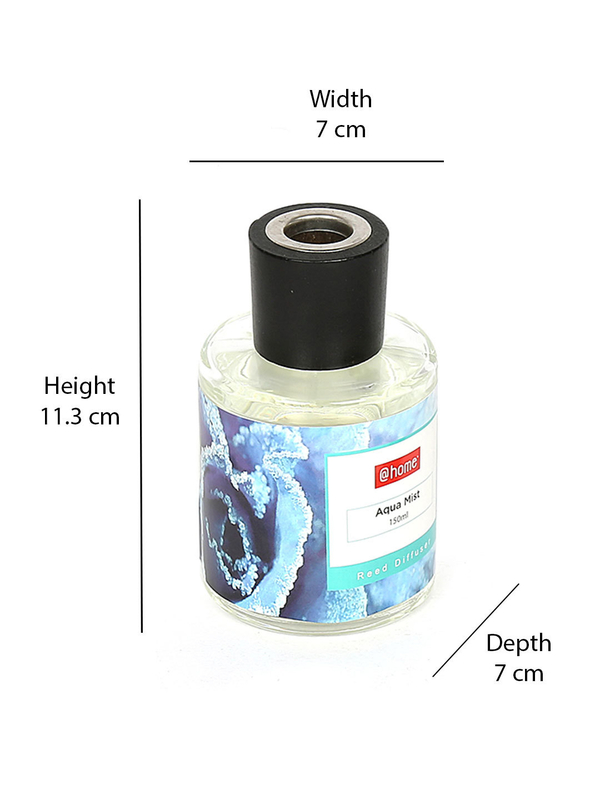 Get the benefits of a premium aromatherapy at your comfort and ease, with the Aqua Mist Reed Diffuser.